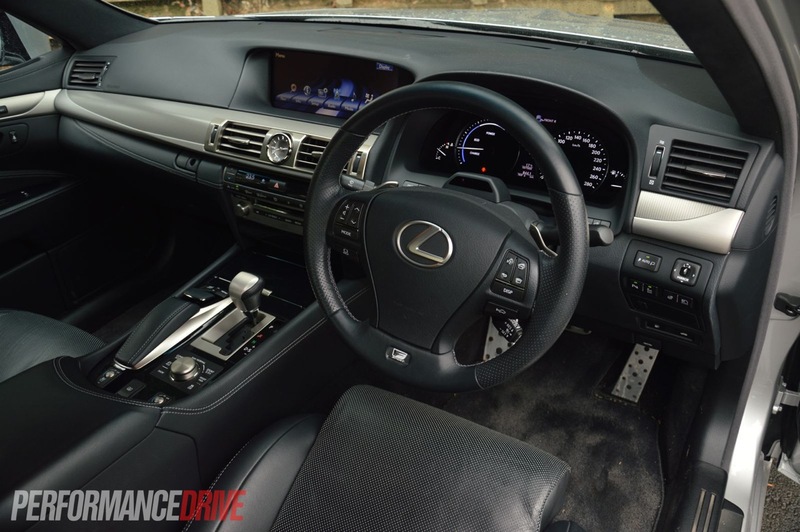 Welcome to the grandest, most luxurious, most powerful, and most expensive Lexus currently on the market. 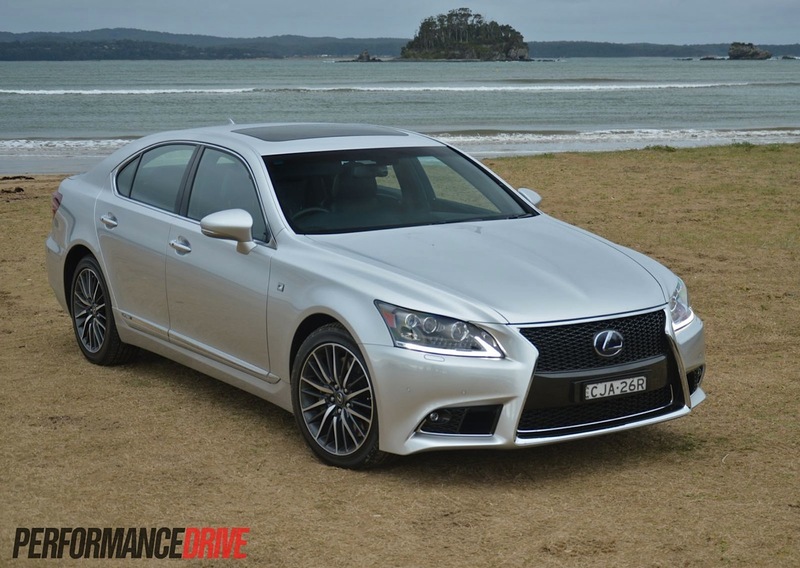 The 2013 Lexus LS 600h F Sport. Here, it’s all about pampering luxury and making driving as creamy smooth and as carefree as mechanically possible. 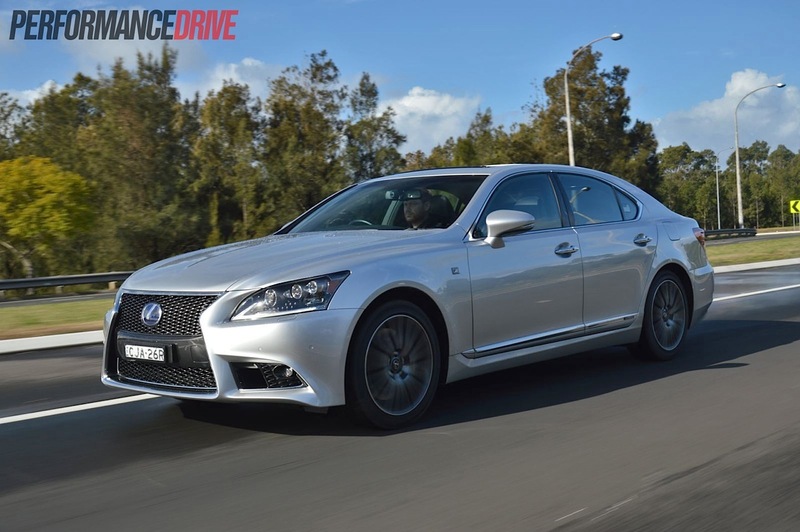 The LS 600h sits at the very top of the Lexus food chain and therefor is given full access to the company’s latest and greatest cutting-edge technologies. 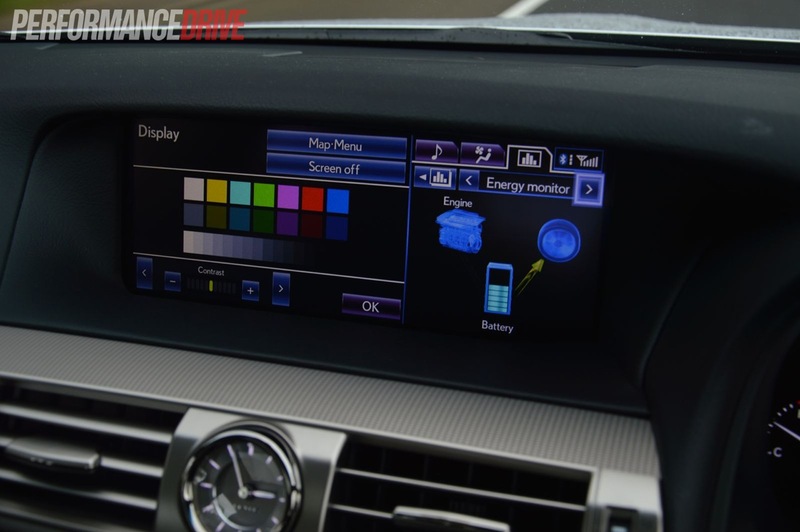 If you want to know what kind of features regular cars will offer in the future, this is your time machine. 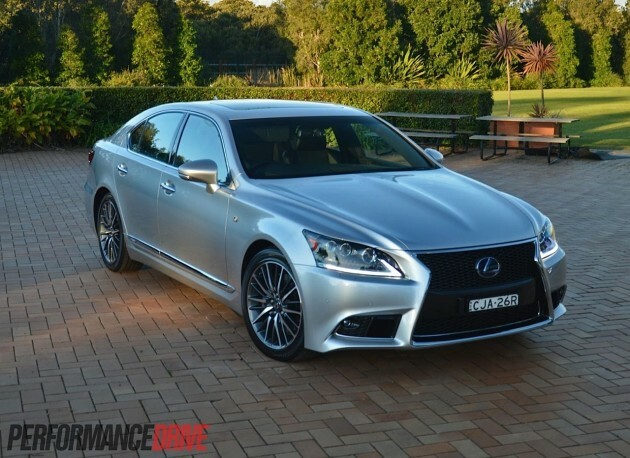 For the 2013 model, Lexus applied its latest styling language to the LS which is immediately recognisable by glancing at the new ‘spindle grille’ layout at the front. It’s not an all-new model, but rather a comprehensive update. 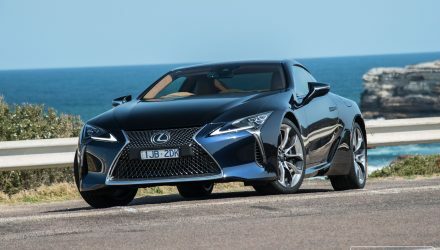 Lexus says up to 50 per cent of the car is all new, with around 3000 new components throughout. 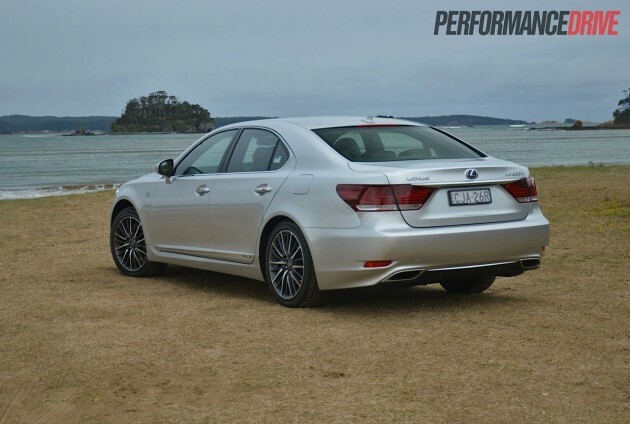 As a bonus, Lexus is offering the LS range – LS 460 and LS 600h – with an F Sport pack for the first time. The F Sport option is becoming a popular sub-brand for the company, and is now available with almost every model in the showroom. 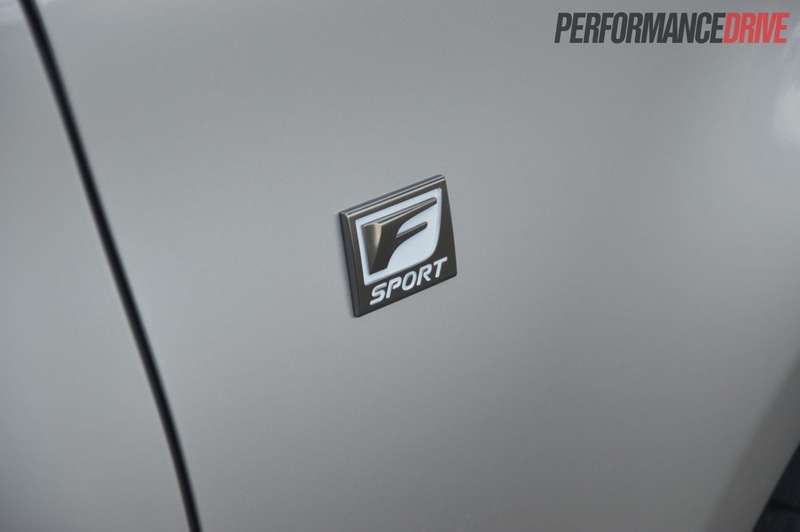 For the LS, an F Sport pack seems a bit contradictory at first, as this is not aimed at the sports sedan segment. 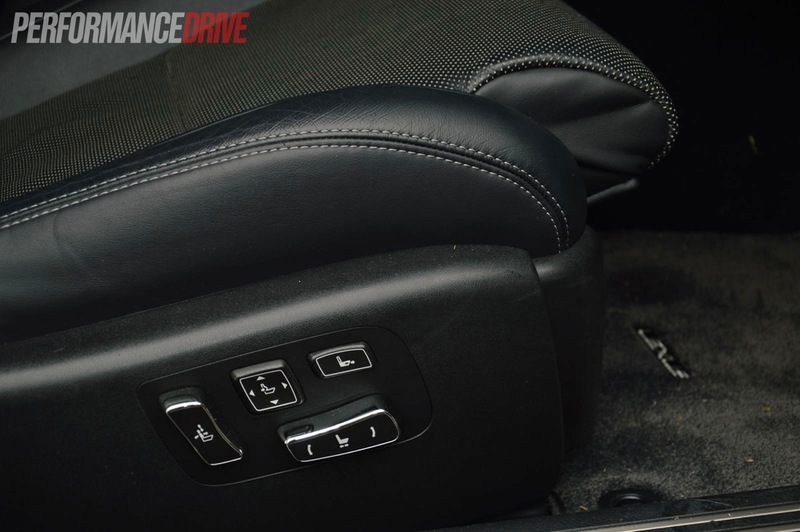 It does give the luxury land yacht a fetching look though, and sharper handling if you or your driver desires via a number of on-board adjustable driving modes. Prices for the LS 600h F Sport start at $217,545. 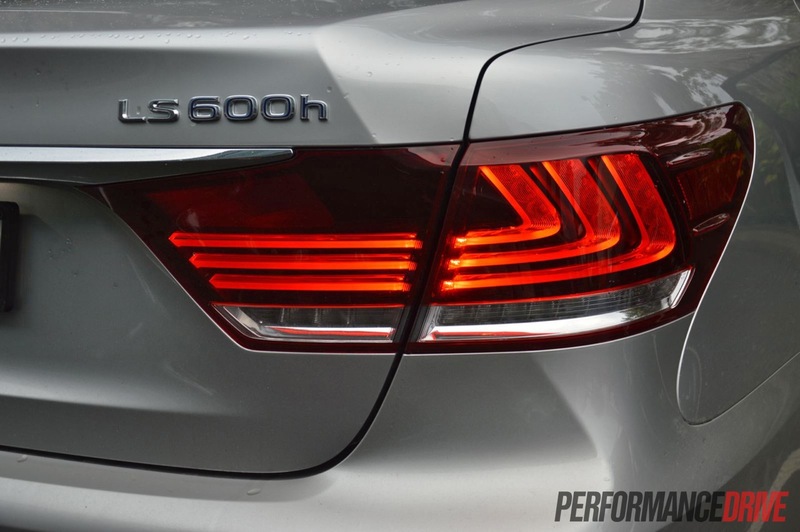 It’s a lot, but it is actually a bit of a bargain compared with its nearest rivals; BMW 750i ($281,245), Jaguar XJ ($297,645), and the Mercedes-Benz S 600 ($296,475). Stepping foot in the LS 600h is a bit of a surreal experience. There is a distinct quality, an ambiance which exists in the cabin. It’s steaming with prestige. 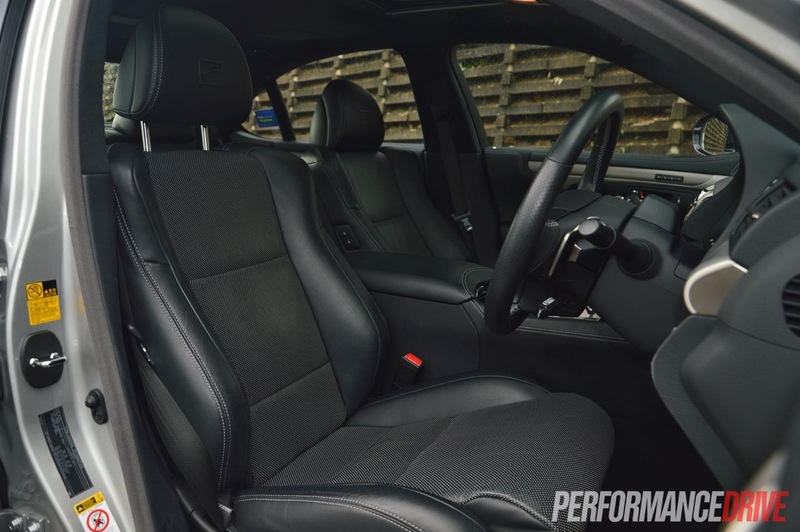 From the really soft leather seats, which are perforated for the electric heating and cooling system to breath, to the soft-touch switches, soft-close compartments and doors, and the soft mood lighting; it’s all about relaxation and calmness. If your heart rate is a little high one day and you’re flustered after a long day at work, the LS 600h has the ability to bring you down to a soothing frame of mind in one short drive. During our time with the car, whenever we jumped in, we always felt refreshed and much more relaxed after the journey. In fact, sitting in traffic has never been so pleasant. So why is this? Let’s take a look at some of the finer attention to detail. 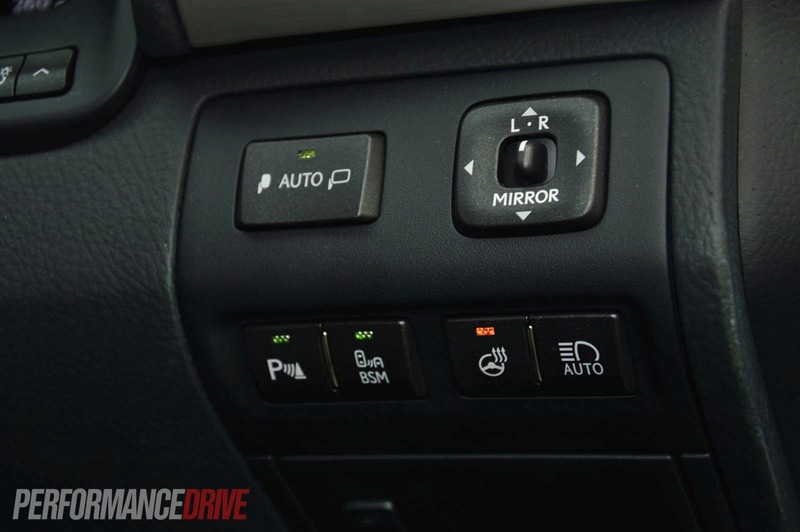 The climate control air-conditioning is not your typical on-off setup. There are 20 air outlet vents throughout the cabin. 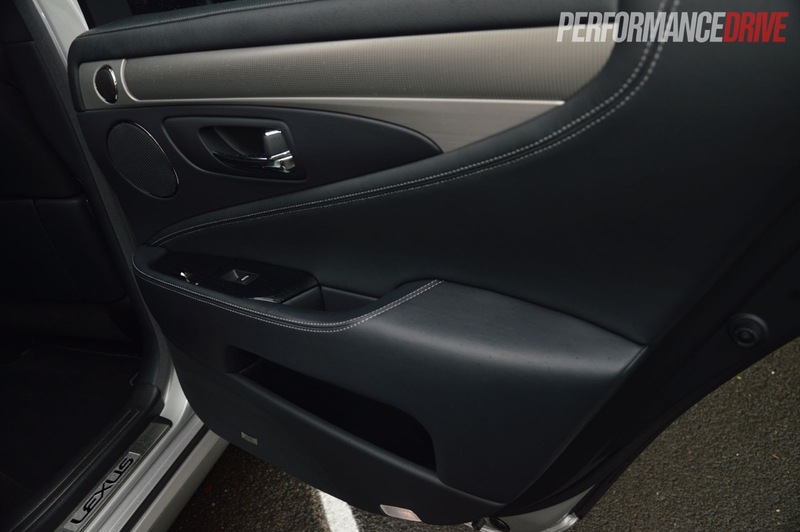 This allows the on-board monitors to adjust specifically which areas of the cabin need heating or cooling. 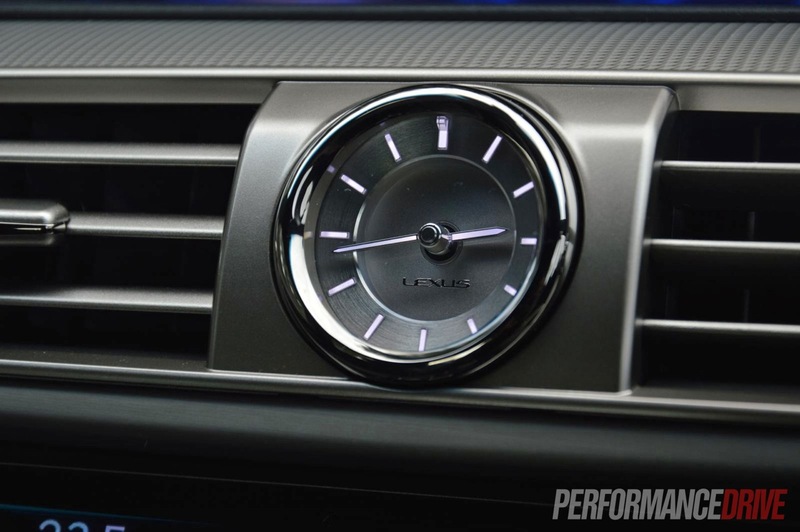 Lexus calls it Climate Concierge. 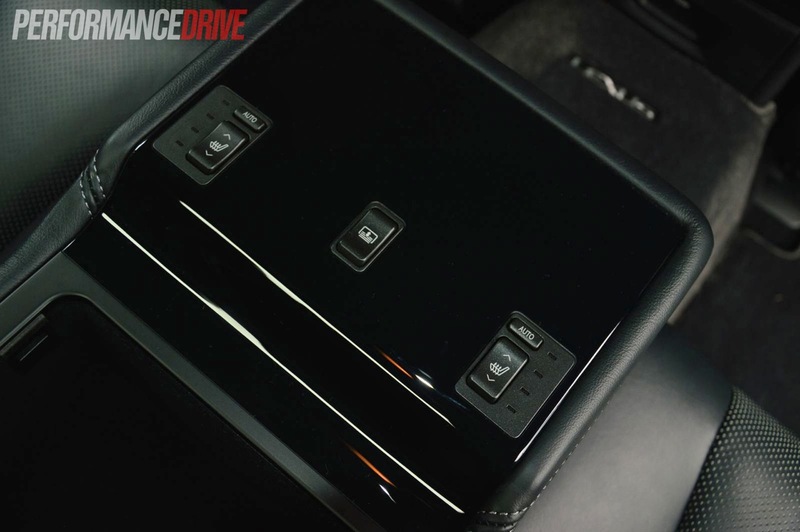 The driver and passenger can set different temperatures, of course, but with this many outlets the system precisely and gently blows the right temp air into specific areas of the cabin. It’s never too cold or too hot. The air-con unit uses humidity, pollutant, and sun/solar sensors too, and constantly adjusts to maintain a heavenly environment. 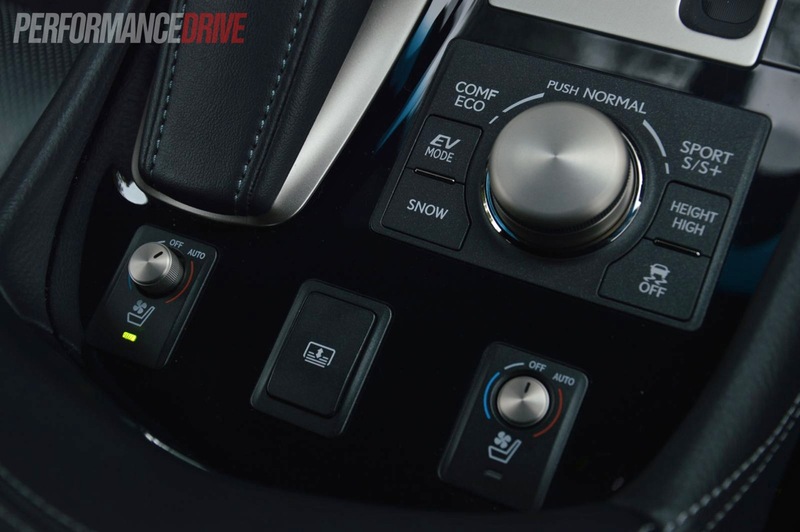 For the driver, there’s also a heated steering wheel for added exuberance. It’s excellent for those frosty morning starts. 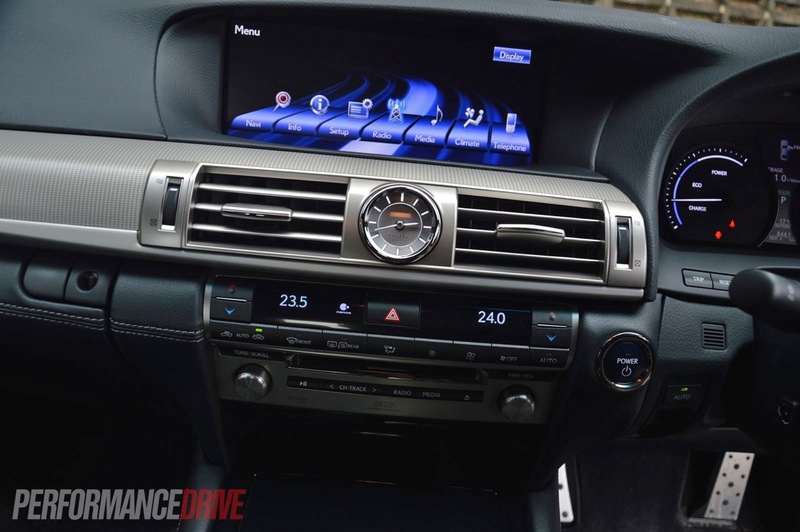 For the front passengers, most of the interactive functions are controlled through the massive, industry-benchmarking 12.3-inch multimedia LCD screen. While the graphics aren’t quite at the peak of automotive digital technology, in terms of textures and shading and 3D effects, the mouse controller is simply phenomenal. It’s responsive to the menu that you have on the screen and provides soft ‘notches’ – for the lack of a better word – which help you skip and jump from button to button. The moment you open a new window, the mouse retracts inconspicuously back to the middle so it can offer different ‘notches’. It sounds complex, and it probably was to develop, but as a user experience, it is brilliantly succoring. And if you don’t like the sensitivity of these ‘notches’, you can adjust it all for either an intricate and touchy behaviour or a slower and smoother operation. 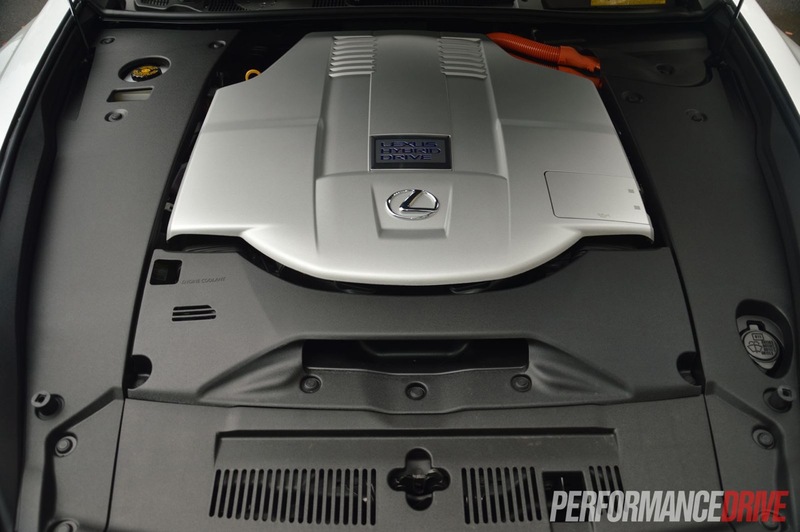 As you would assume, the LS 600h comes with everything you’d expect in a modern day premium vehicle, and more. 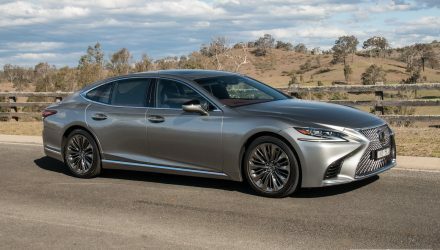 And best yet, like most Lexus vehicles, everything comes as standard, with very little options to further exhaust your bank account. 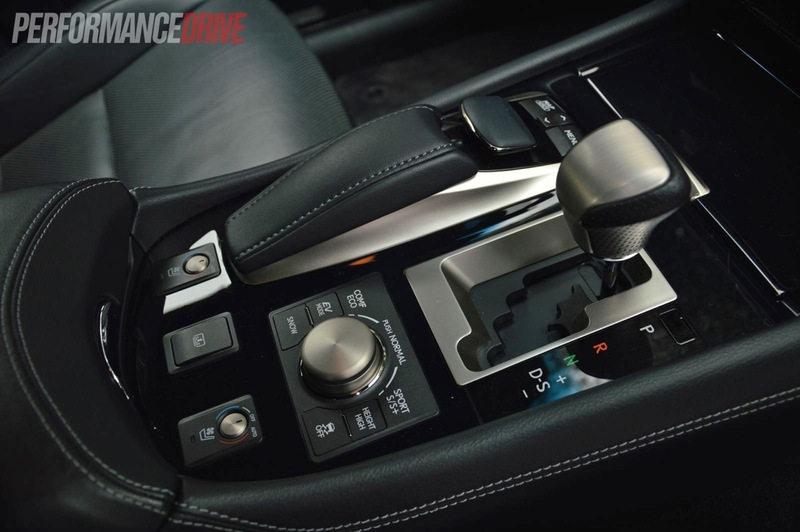 Some of this ‘more’ includes radar-guided cruise control with adjustable distance settings. 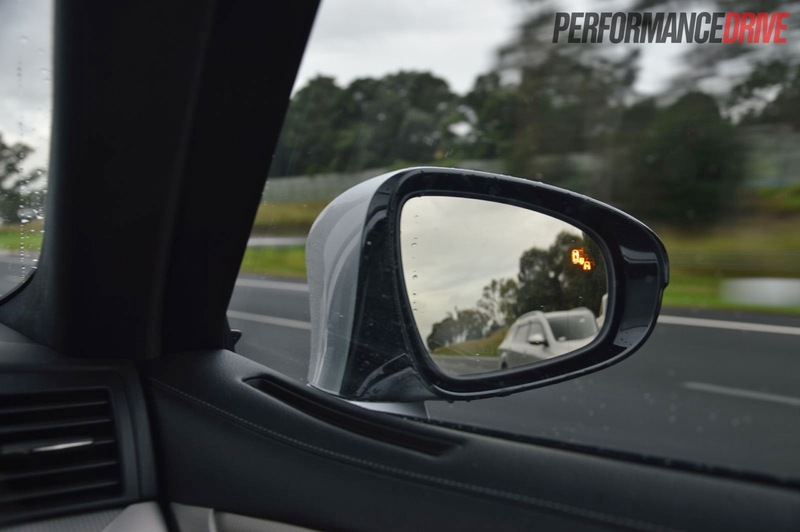 It’s not the pinnacle in radar cruise in our opinion, as it can become a bit cumbersome if a vehicle moves into your lane after overtaking you, provoking the computer to engage the brakes. But it does amplify the relaxing nature of the car if you’re out on a relatively congestion-free highway. Other in-car highlights include a rear windscreen electric blind, soft close doors (as mentioned) that pull fully closed automatically if you don’t quite make it, voice recognition technology, an electric sunroof, blind spot warning, power everything – including the steering column adjustment, boot lid, and front seats – heated rear seats, and a 19-speaker Mark Levinson premium sound system. 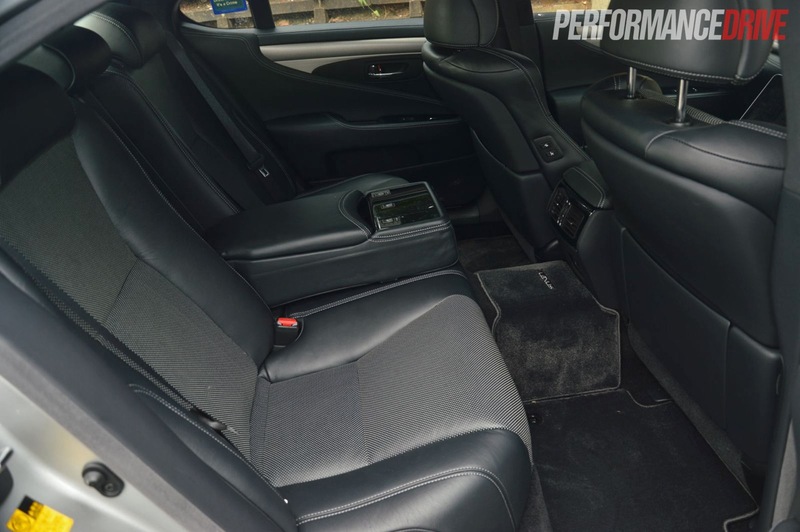 If you’re wondering about the space and legroom, think of the LS 600h as like a lounge room. 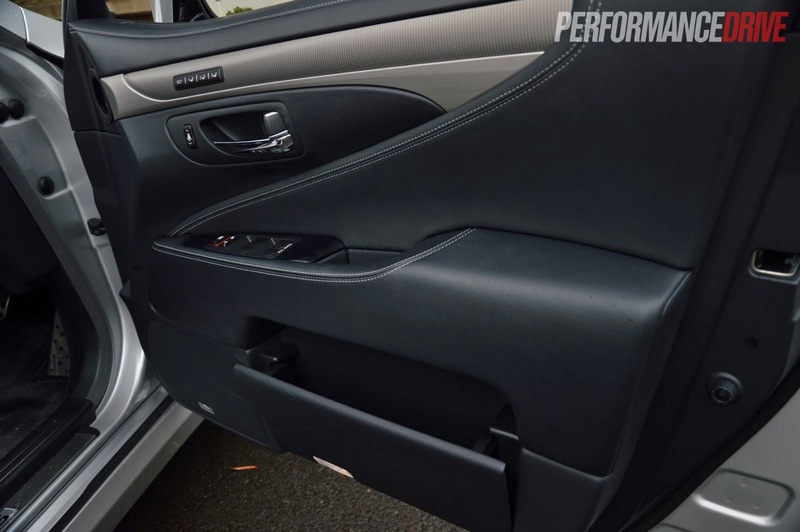 The front seats are large and include adjustable side bolsters and an under-leg pad which can be extended, while in the back there is copious legroom. 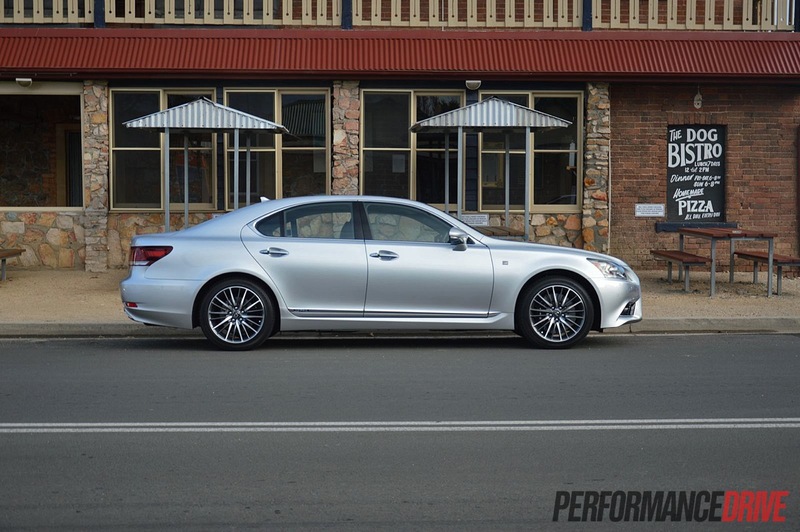 If you’re extremely tall, or like to spend a lot of time in the back seat, Lexus does offer an LS 600hL – the ‘L’ stands for long wheelbase, stretching the rear doors and rear cabin capacity even further. It is very heavy and vast, weighing in at a hefty 2340kg. And you can feel it, even in Sport Plus mode. 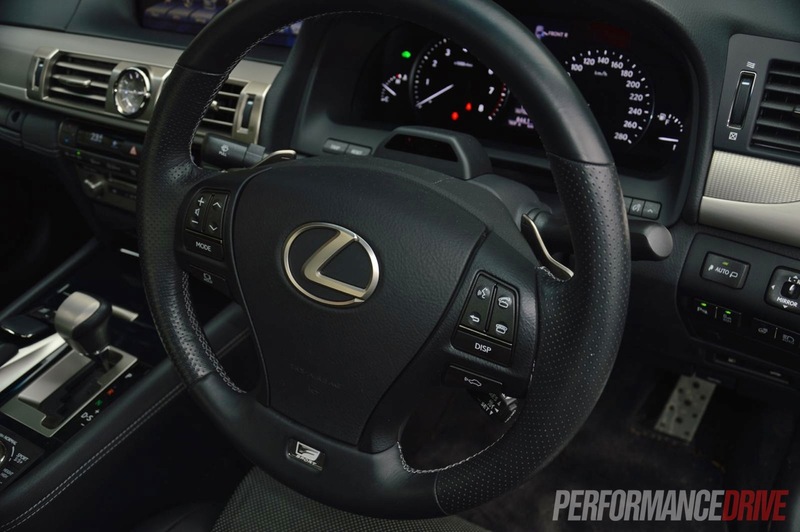 As with all modern Lexus vehicles though, there is plenty of communication through the steering wheel and chassis/suspension. The steering is lovely and precise, and you always know what the wheels and body are doing. 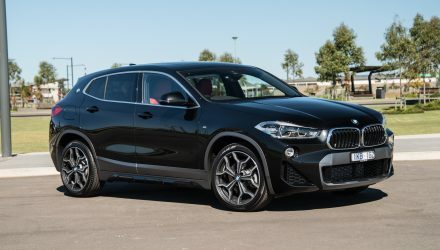 It feels sharp and connected to the road, and surprisingly agile if you want to toss it through a series of tight corners. 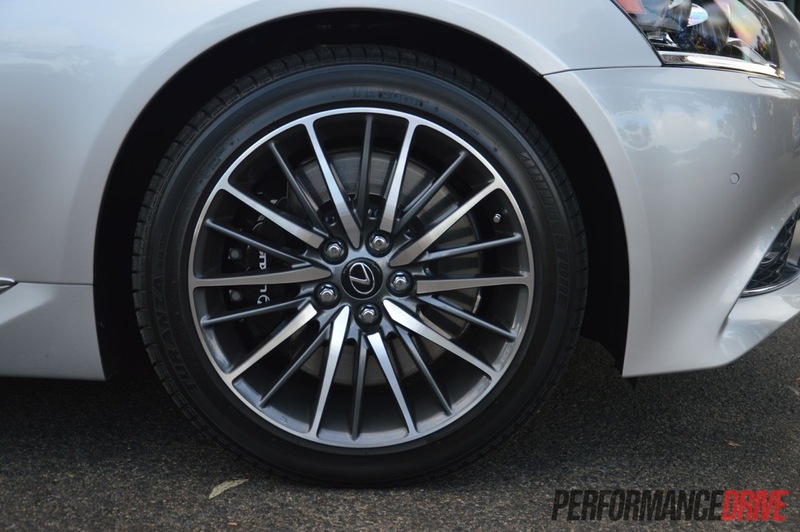 The F Sport brakes also do a very commendable job of halting the cruiser, time and time again. Playing around the driving mode settings can be fun, initially. 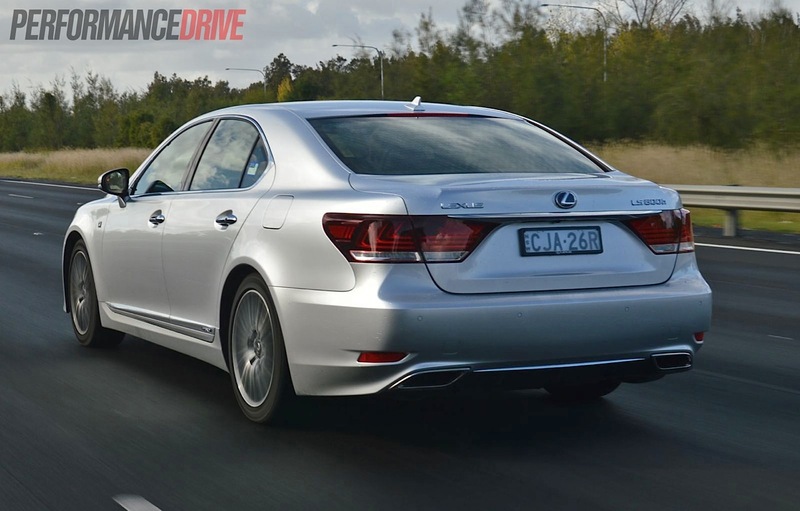 After enjoying the grandeur of this car, you soon come to realise this is not a sports sedan. 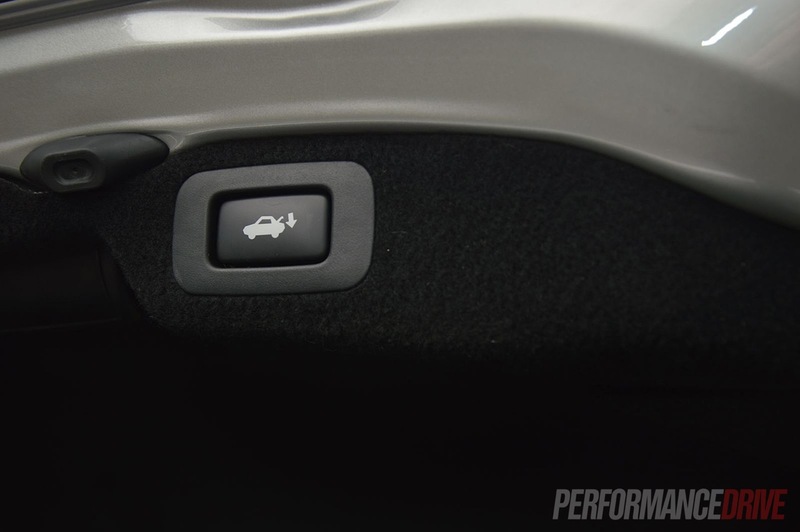 There is relatively little difference between Sport and Sport Plus modes, in our opinion. The latter simply gives you abrupt spikes in petrol engine power – sometimes when you’re not necessarily calling for it – and some added V8 noise. What we recommend, and what most buyers are likely to do, is simply leave it in the normal setting. This is the best setting we think. There is loads of torque on hand should you need to conduct a swift overtaking move, while the ride and comfort during these bursts makes you feel like you are sliding down a slippery dip of custard. The powertrain is equally appeasing, with a gentle roar from the V8 letting you know there’s substantial force under the hood if you need it. The torque on hand is mighty (combined figure unknown), providing a trusty and majestic temperament. 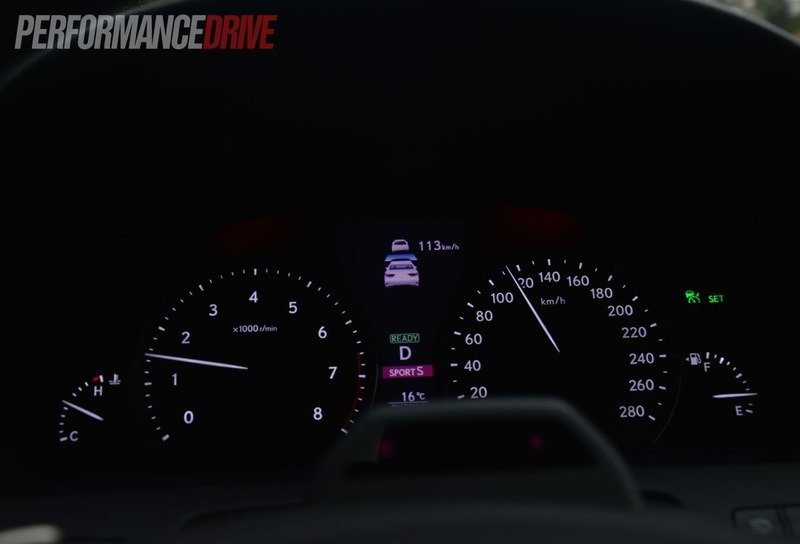 While the CVT transmission is far from sporty, like most CVTs, it seems quite fitting and in tune with the effortless cruising behaviour of the car. 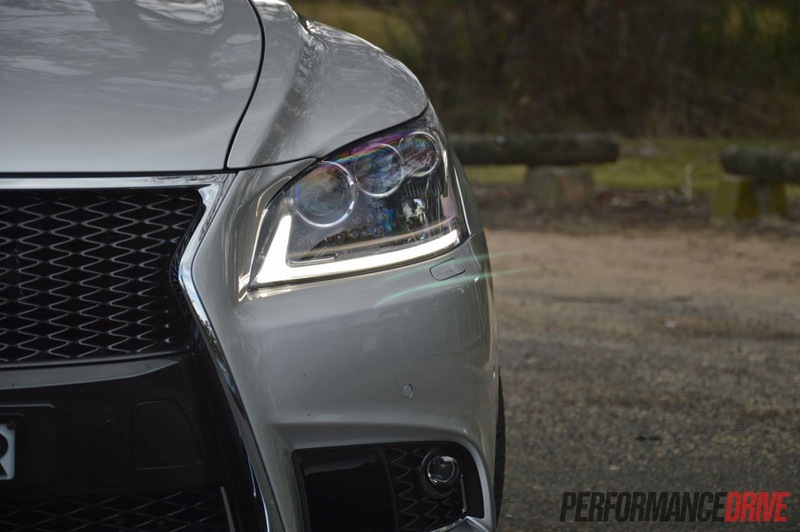 Although the LS 600h F Sport isn’t meant to be a sports car, it presses on just fine, gaining momentum with surging torque from the V8 and electrical hybrid system. We timed 0-100km/h in 6.2 seconds, which is brisk enough to pull away from most traffic, and plenty of oomph for overtaking. Under full power, it is eerily quiet, and it can be a bit deceiving; you’re often going a lot faster than you think. 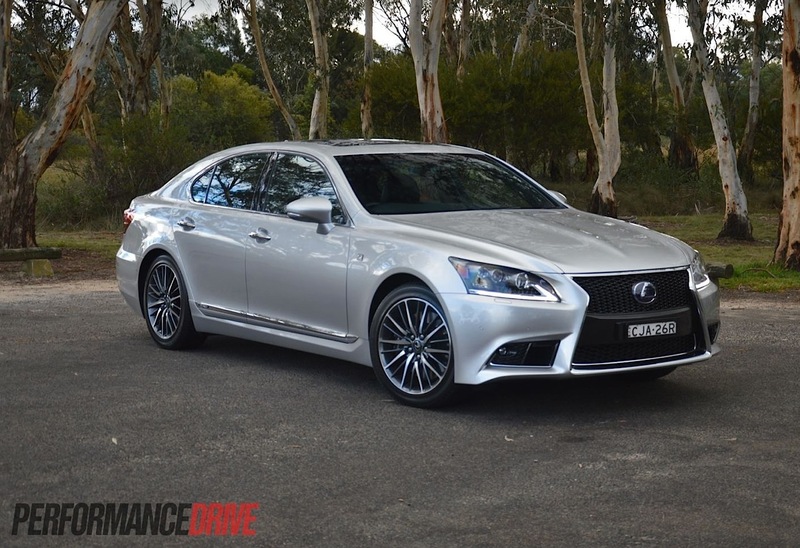 If you’re after complete and utter luxury, convenience, and technology in the highest levels available today, the LS 600h is at the forefront. 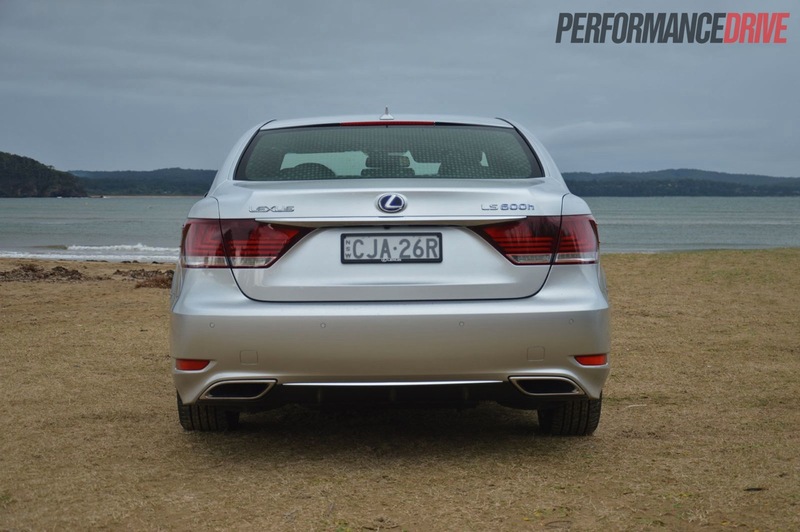 It’s a nice driver’s car too, and while the F Sport package doesn’t transform it into an AMG-sneering performance car, it does give the LS a very sharp and modern look. It is the only hybrid uber-premium large car on the market at the moment. 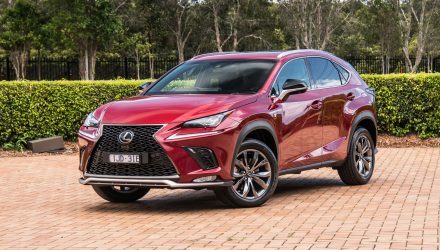 Pair that with Lexus build quality and renowned reliability, and what you’re left with is a very exclusive and one of the most appealing propositions in this segment.